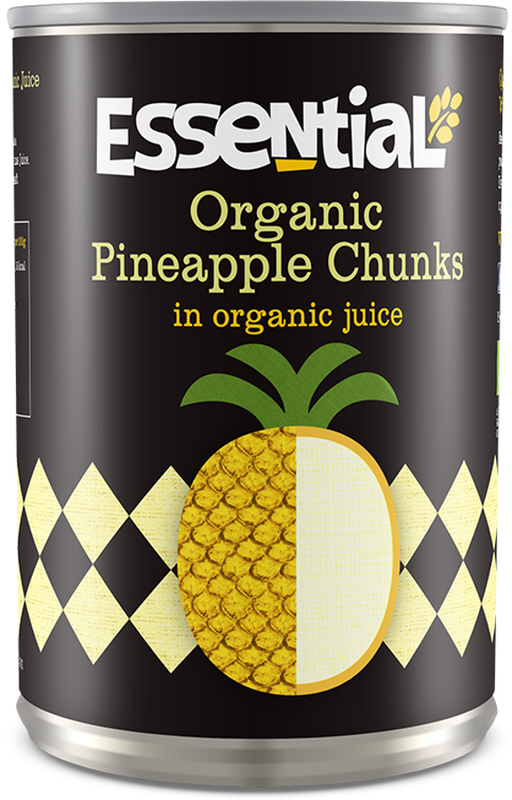 Tasty organic Pineapple Chunks in organic pineapple juice from Essential Trading. Delicious served chilled with cream or fromage frais, or used in a fruit salad. Organic Pineapple*, Organic Pineapple Juice*. *Organically produced ingredients. The Essential Trading Organic Pineapple Chunks In Juice - 400g product ethics are indicated below. To learn more about these product ethics and to see related products, follow the links below. Both the pineapple, and the natural juice are exquisite.rnOnce I tried these there was no other tinned pineapple.rnI eat regularly, great on whole earth cornflakes; two complimentary textures and flavours.rnCompare favourably, even with organic fresh pineapple. 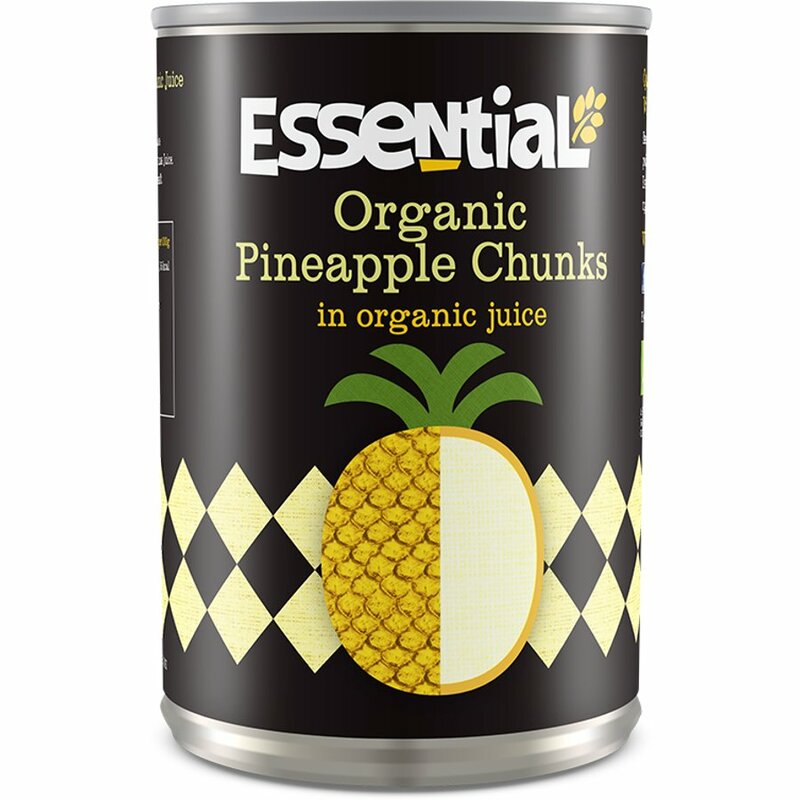 There are currently no questions to display about Essential Trading Organic Pineapple Chunks In Juice - 400g.